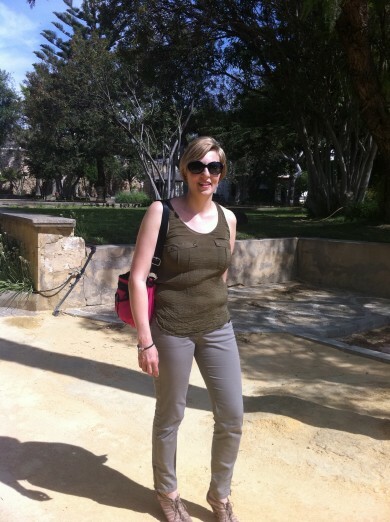 I had pre booked a tour of Bodegas Caballero that morning. This family has been in the wine business since 1830 and the Caballero name is a Spainish classic. As well as the huge premises where they bottle the sherry the family also owns this fairytale style castle from 13th century. 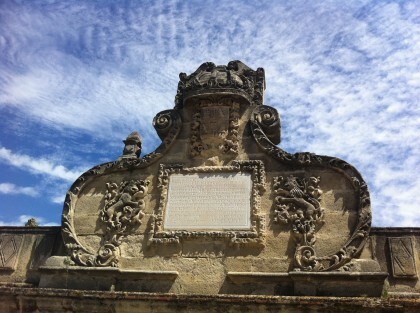 The Castle of San Marcos. The visit was a guided tour of their wine cellars in English followed by a tasting and explanation of their best selected wines. (90 minute duration approx) To book you can see the link further below or contact tourist information when you arrive who can help you too. Through the tour we were shown lots of different cellars and thousands of barrels in different stages of the fermentation process. We even got to see the bottling area and warehouse. I noticed that most of the boxes were labelled for Sainburys, Morrisons, Waitrose and other British importers of Spanish wine and Sherry. Wishing that I had eaten a more hearty breakfast we began the wine tasting. 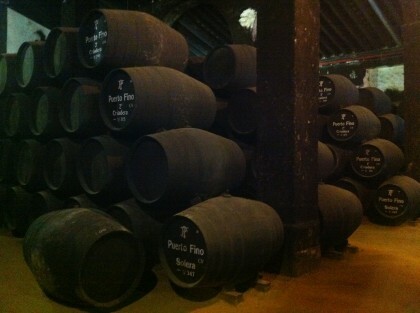 Starting with the driest of Fino wines, you can see on the photo above the lightest colour to darkest. The darker the wine, the sweeter. Moving along the scale getting to the sweeter sherries and finally ending with the renown Ponche Caballero. A sweet fruit punch. 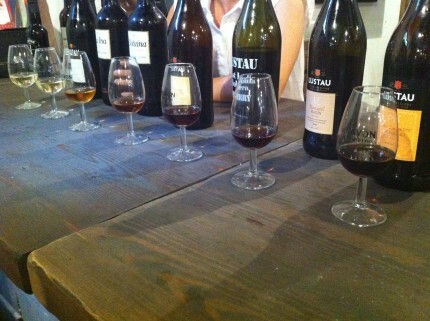 This was all well explained and an interesting visit, even non wine lovers will enjoy it. Tours are usually Mon, Wed & Fri from 11am – 1pm. I left the wine cellars a little more giddy that when we arrived. I headed into the old town to get some lunch. 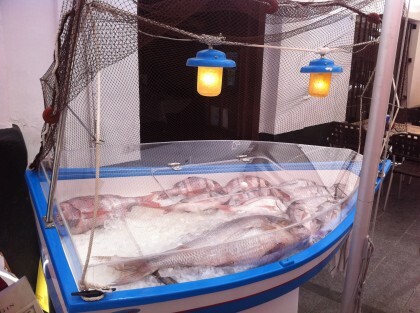 Puerto de Santa Maria is famous for the fresh fish and seafood as well as Sherry production. We saw this amazing boat full of very fresh looking fish and headed into the restaurant to see if it would live up to the expectations caused by their impressive display. After a wander around the old town it was time for the ride back to Cadiz. The journey on the Public Catamaran service cost me just 2.35 euros. 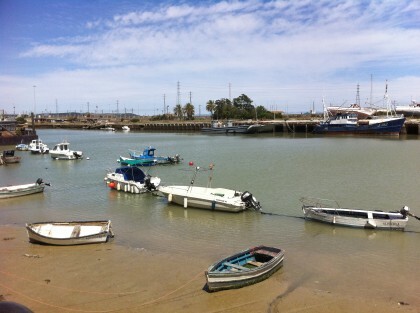 This was one way from Puerto de Santa Maria to Cadiz (in May 2012) What a lovely way to get back. The Catamaran leaves every hour, although on Saturdays, Sundays and Bank holidays has a reduced timetable. 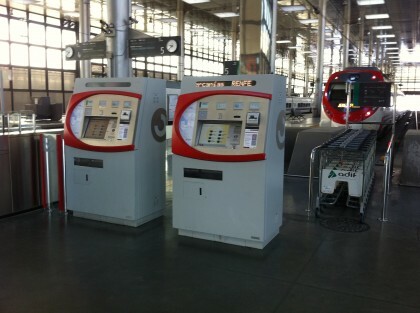 There is a ticket office at the departure point. 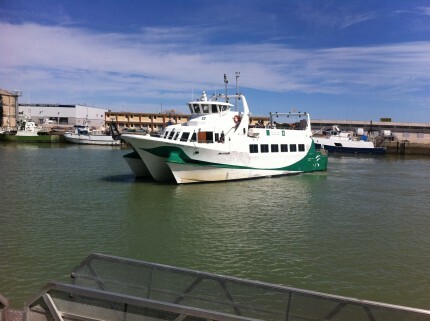 On the way back to Cadiz, enjoying the pleasant sea breeze on the top deck of the Catamaran and the fabulous views. 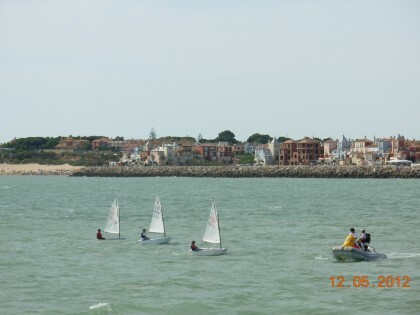 I saw a sailing lesson in the bay and of course as was approached Cadiz you see the Skyline of the city and see the golden dome of Santa Cruz Cathedral twinkle in the evening sun as sailors did years ago when arriving to the port. Me encanta este artículo. Enhorabuena Molly. 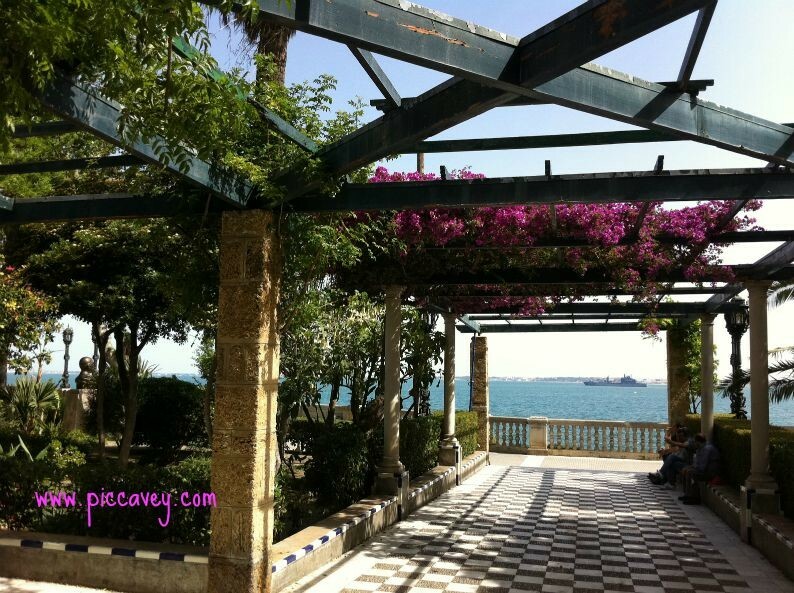 I just came across with your blog when searching where to stay in Cadiz. 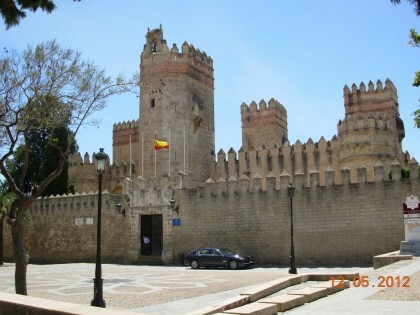 I will be in Cadiz 17th of September,and will spend 3 days there but I haven’t arranged a place to stay. 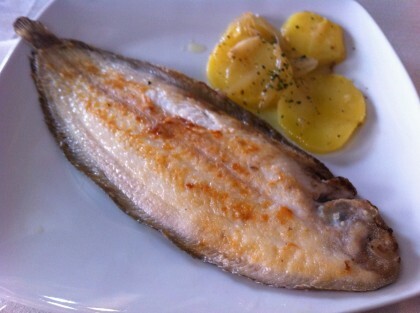 I couldn’t decide in which part of the Cadiz I should stay, Jerez, Cadiz, or El puerto de santa maria? Could you recommend me a region to stay? Thanks for your reply. It seems that Cadiz is the best option to stay. I will be in Puerto de Santa María until the end of july and I will love to help you out with your Spanish whilst I continue improving my teaching skills. No business, just for fun! I hope you find ok my post. I’d love to meet new friends and share your experiences and my Spanish knowledge. Cheers and congratulations for your blog! Thanks for your kind message Marta, I already speak Spanish fluently. I have been living in Spain for over 15 years now.